The Roosa Bracelet in two tone is very attractive. It is also nice in a single color.There is a small and medium size, depending upon your taste. 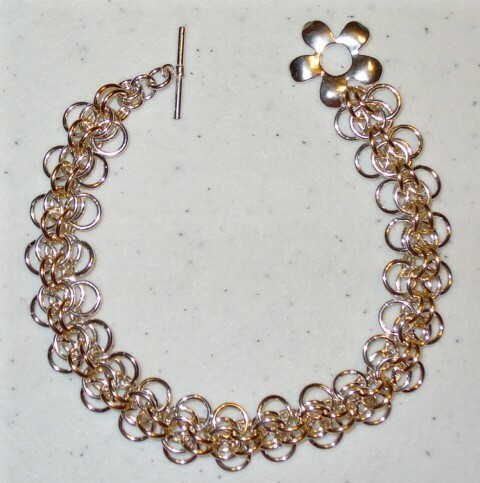 It is quick and easy to make.This is a beginner weave. The clasp is not included in the kit. Two tone and rose gold filled kits are available upon request.